We are all becoming more conscious of the importance of eating well. There’s no doubting that having a well balanced diet is a key factor in maintaining a healthy lifestyle and is at the forefront of our minds. Seafood is among some of the healthiest foods on the planet. The nutritional value of seafood is paramount for the health of our body and in particular, brain function and the nervous system. In addition, just a 3.5 ounce serving of seafood can provide almost half of the protein required for adults with only 100-200 calories. Seafood has an average of less than 2% fat and is low in kilojoules making it a leaner than meat and chicken. It also has the added benefit of being low in cholesterol. Eating seafood two to three times a week has shown to reduce the risk of heart disease and lower cholesterol. When it comes to seafood it also compares favourably to meat and chicken in terms of a source of top quality protein. Seafood is also rich in vitamins and minerals we need to maintain a healthy diet. Iodine, Zinc, Potassium, Phosphurus, Vitamin D and the Vitamin B range making it a nutrient dense option. In addition it has the additional benefit of being rich in the essential nutrient Omega-3. Omega-3 plays a significant role in our bodies and are a major building block of the brain, retina function and other vital organs like the heart. Academic research in this area has indicated that people who eat seafood regularly are much less likely to become depressed. There have been a number of studies with controlled trials that have resulted in highlighting the positive relationship between Omega 3 and depression. In addition, due to seafood being such an important dietary factor in healthy brain function, it has been found to have significantly positive impacts on protecting the brain from age related decline. Studies have shown that people who eat more fish have a slower rate of cognitive decline. A problem that has become increasingly common throughout the world is sleep quality. Largely due to overexposure to blue light but also the common issue (particularly in Ireland) of Vitamin D deficiency. Studies have shown a direct positive relationship between seafood consumption and sleep quality and have speculated largely that this is because seafood is one of the best food sources of Vitamin D.
Fish also has the added benefit of being a great option for those looking to reduce their risk of heart disease, heart attacks, strokes and reduces the risk of a range of autoimmune diseases including type 1 diabetes. We believe in the health benefits of seafood but none more so that local fresh seafood. We ensure that our seafood is of the freshest quality. 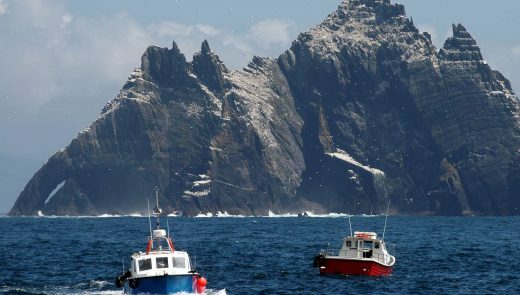 Daily, our boats bring in the seafood fresh each morning and it is delivered to our local seafood shops and seafood bars around Cork and Kerry to ensure our customers get the freshest fish daily. 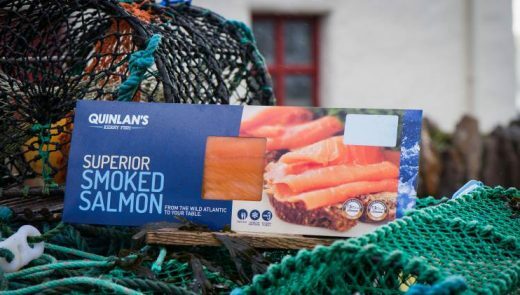 Find your nearest Quinlan’s Fish Shop here.